I’ve been mentioning the sewalong “shorts on the line” and it’s finally here! Well, actually, it started on Sunday, but I’m guest posting over there today. 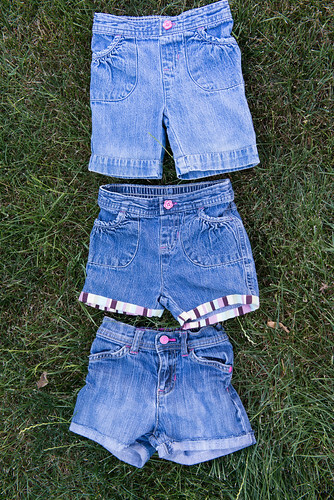 Stop on by and check out my post on how I turned Lillian’s pants into shorts….three different ways. Also, be sure to sew up some shorts and enter to win some amazing prizes. Great post and very clever ways to use up those jeans! Cute shorts!